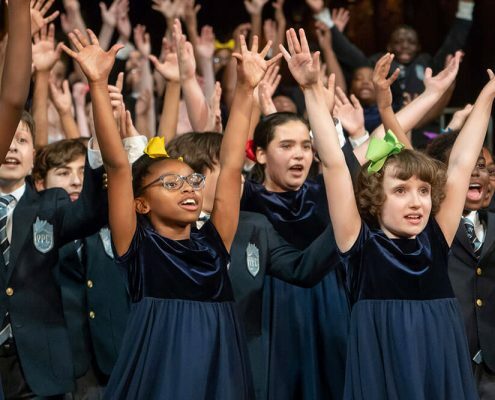 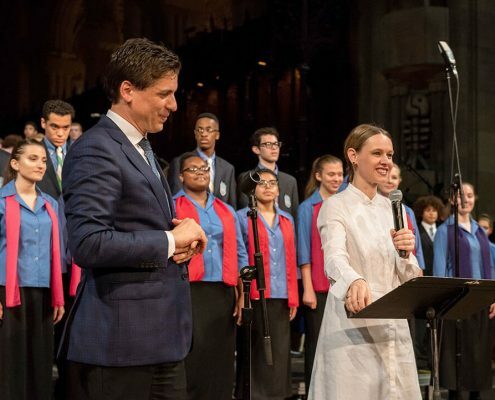 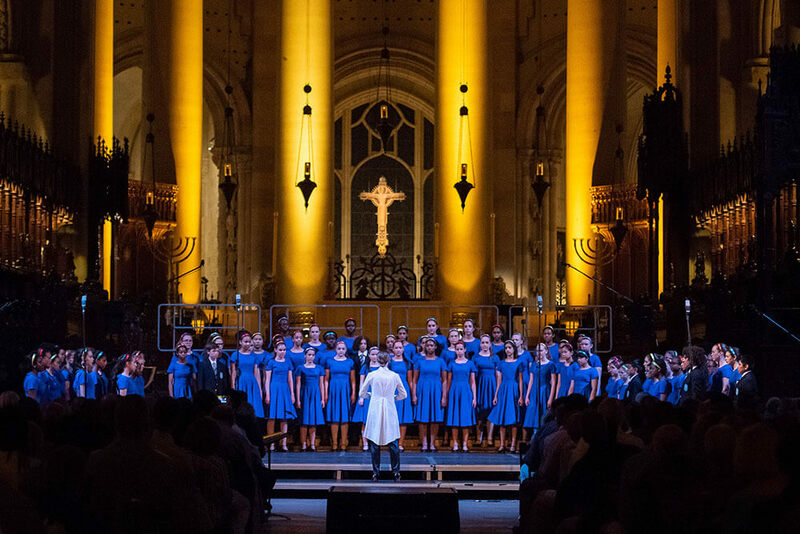 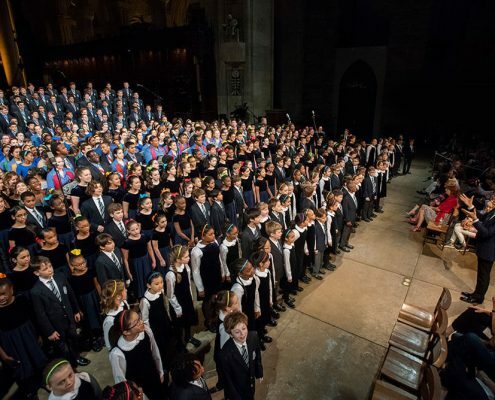 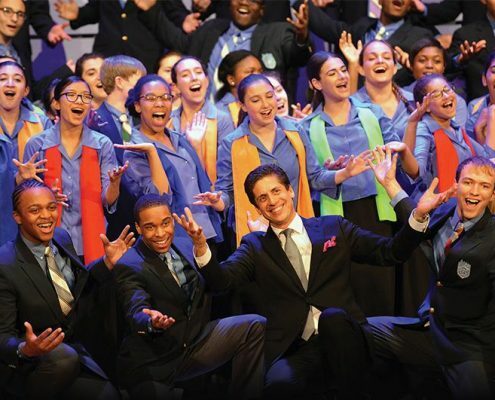 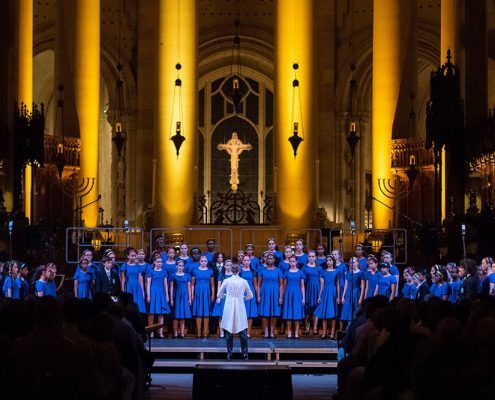 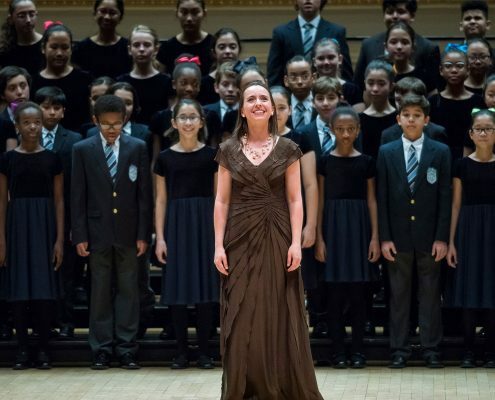 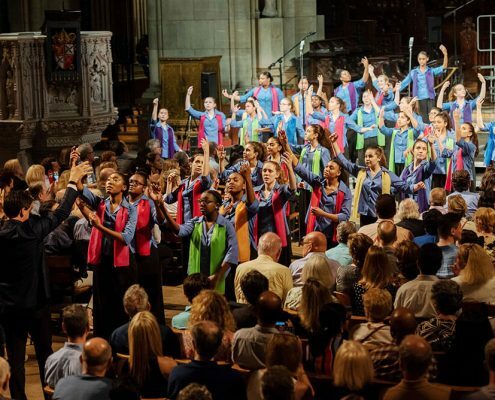 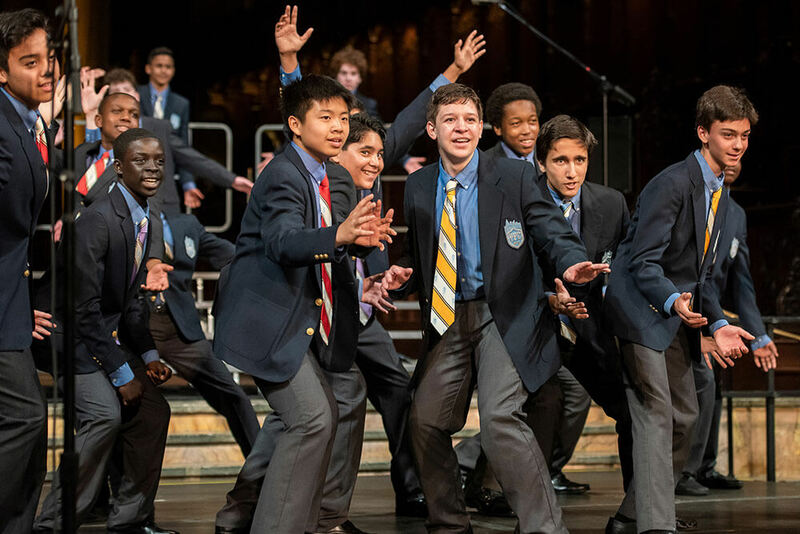 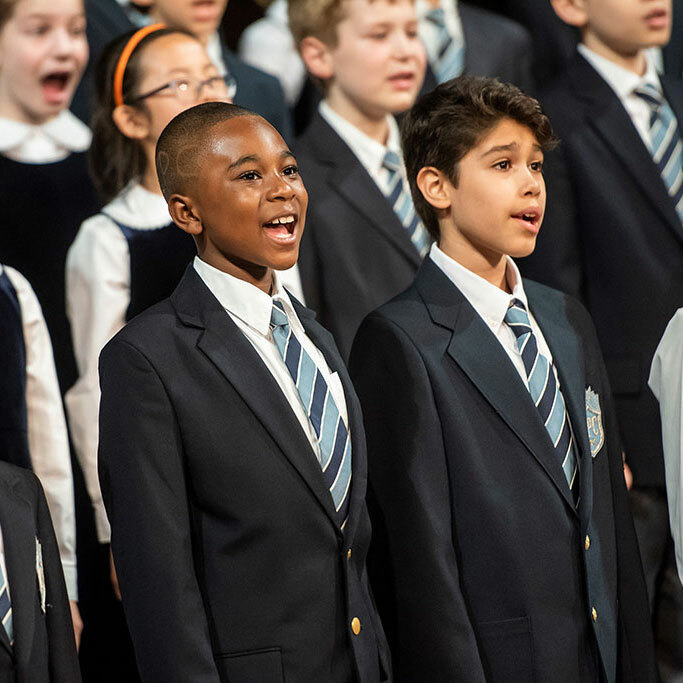 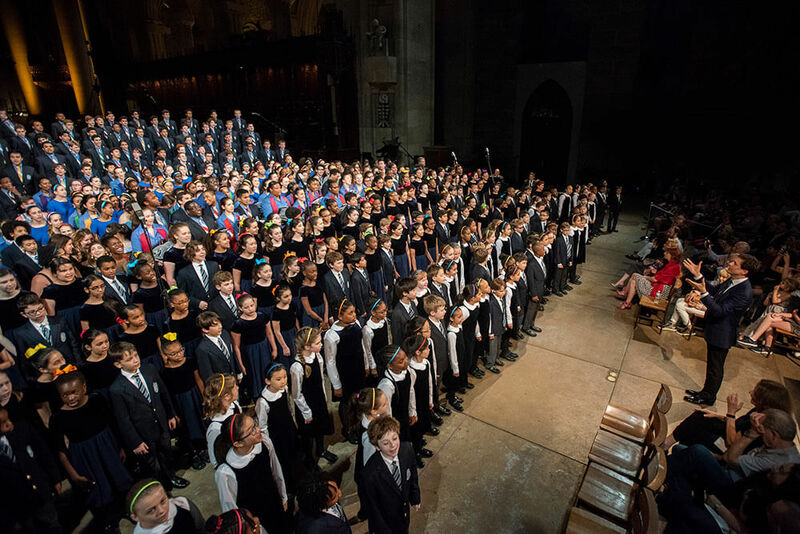 On Saturday, June 2, more than 425 YPC chorus members traveled from their neighborhoods in every New York City borough to the largest Gothic cathedral in the world for their debut in the magnificent Cathedral of St. John the Divine for a spectacular 30th anniversary Spring Concert Celebration. 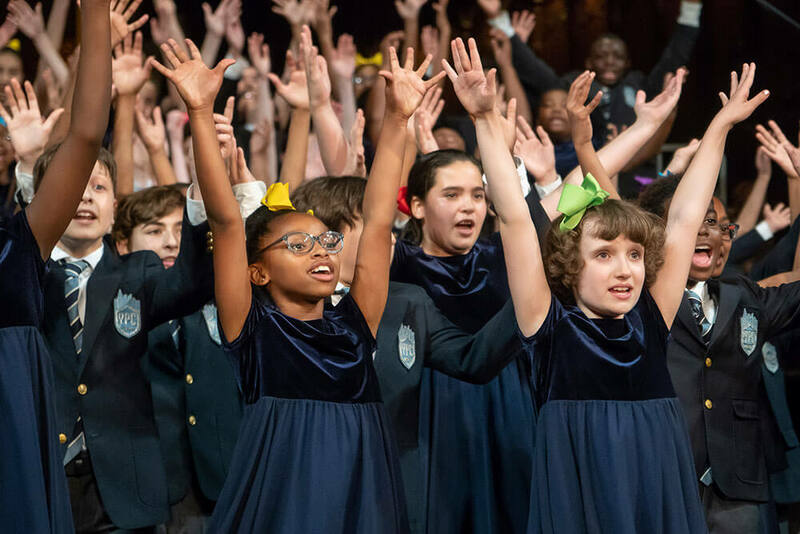 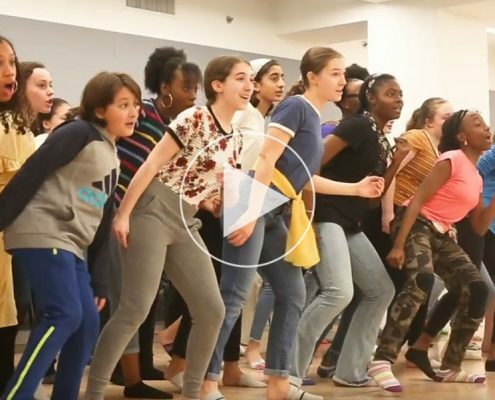 The concert, which opened dramatically with the distinctive, Zulu solo chant from “The Circle of Life,” signaled to the capacity audience “Get ready. 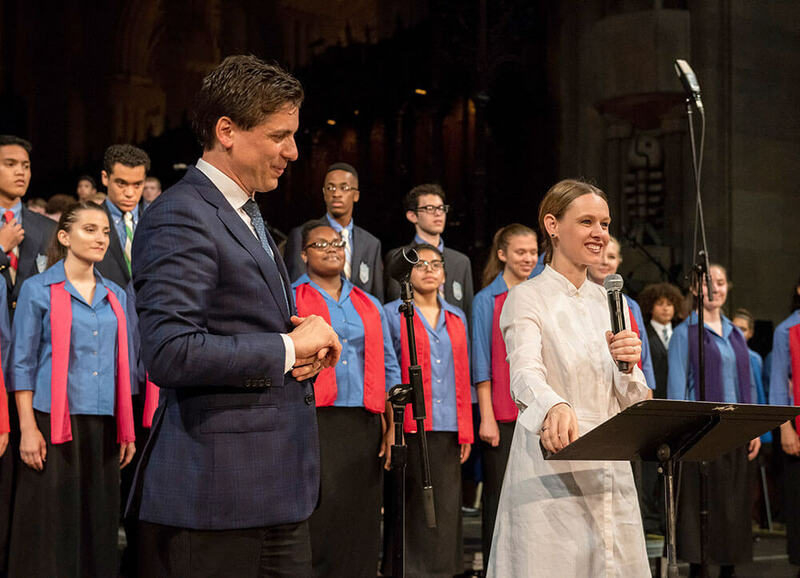 This is going to be something very special.” And it was. 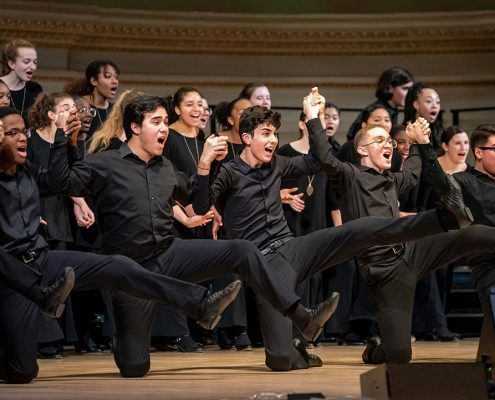 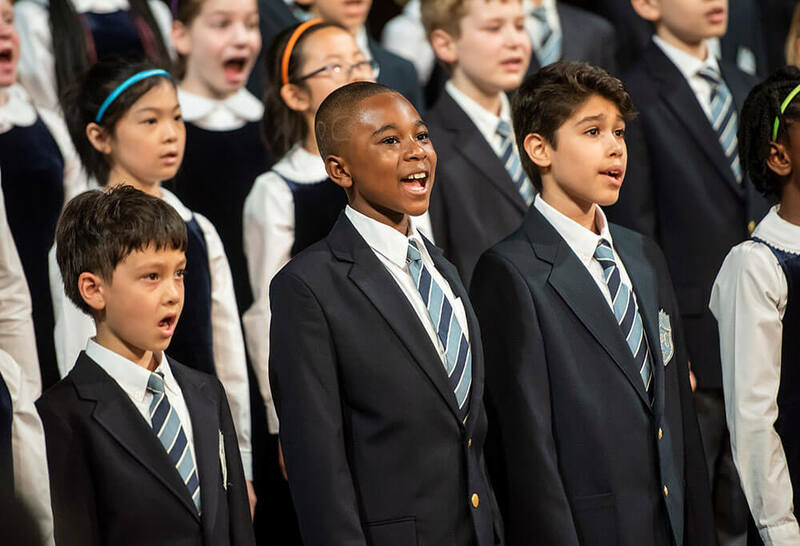 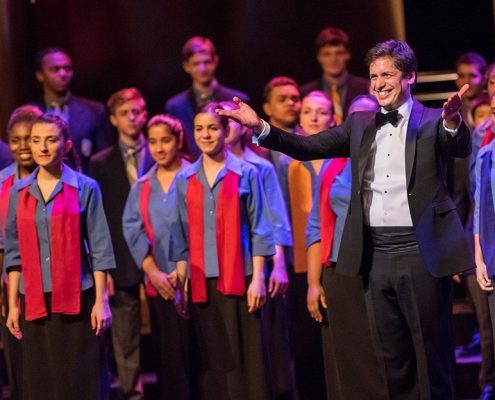 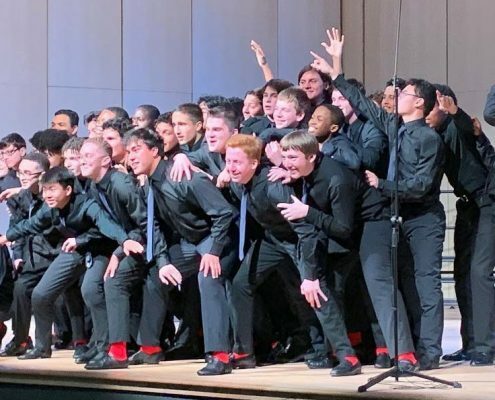 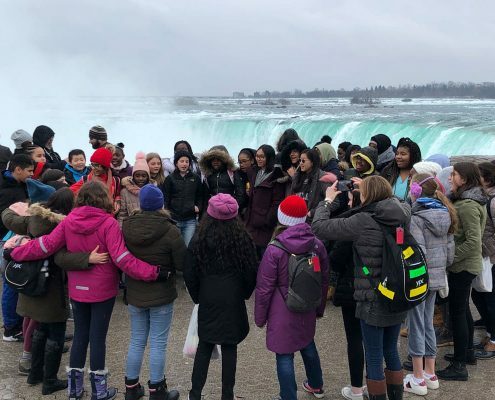 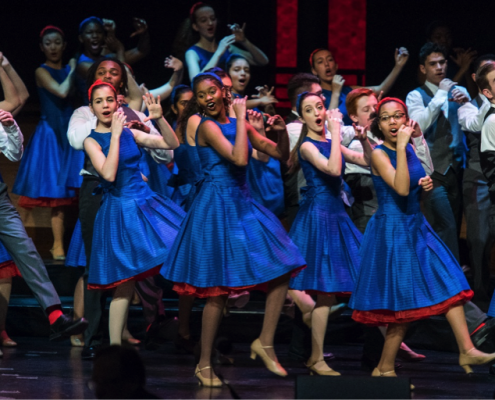 The Spring Concert program spotlighted every YPC chorus member and included the world premiere of a new work – No One is an Island – commissioned for this occasion by composer Nils Vigeland, who attended with his family and remarked at, “What a great night” it was for YPC. 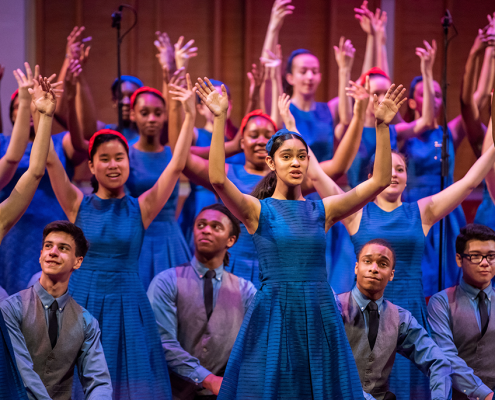 The Spring Concert closed traditionally by introducing each YPC graduate in the Class of 2018. 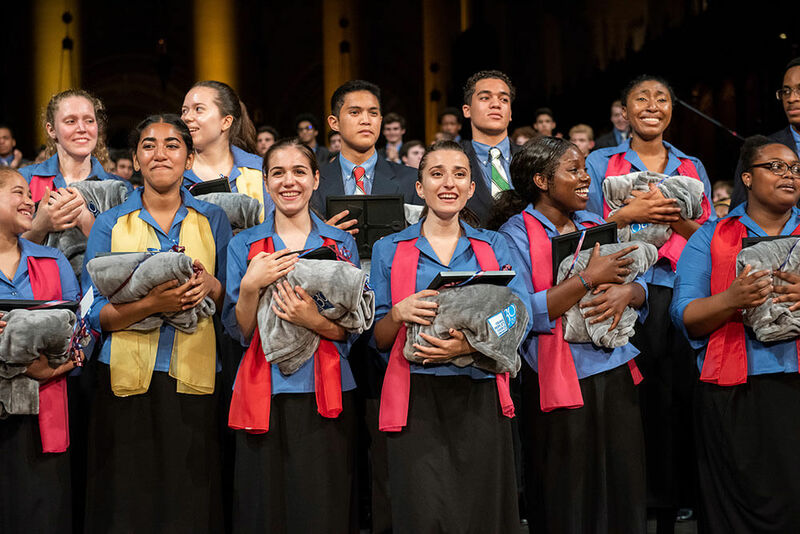 These graduates are continuing another YPC tradition, established with YPC’s first graduation ceremony in 1996. 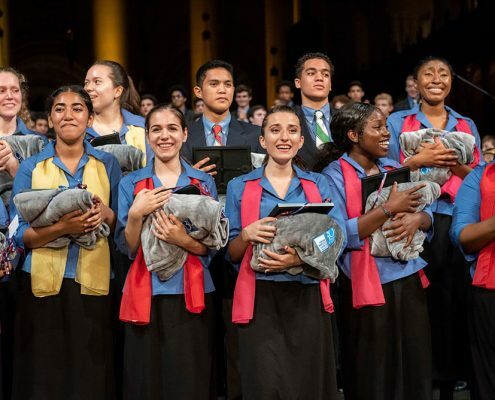 Every one of this year’s 24 graduates will be attending college this fall. 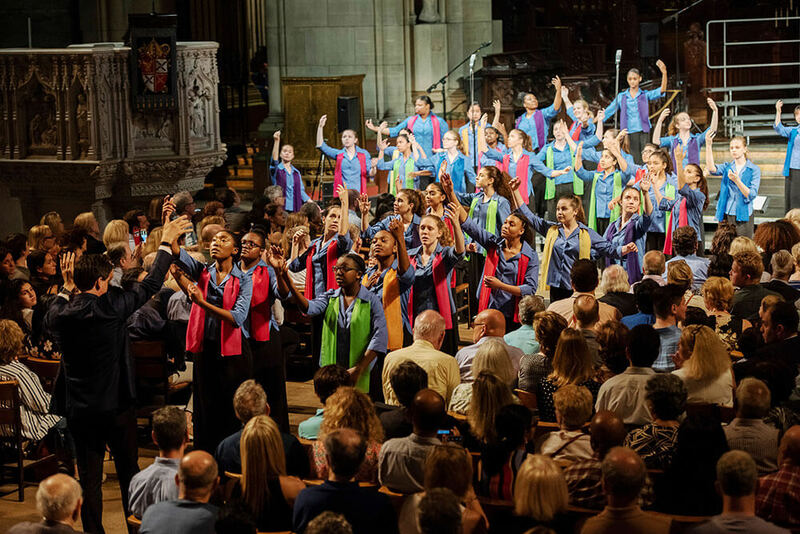 A very special and heart-felt thank-you to each and every one of the volunteers, conductors, accompanists, staff members, and ambassadors, not to mention Jacquie Bird and Kerry Allen, who were so integral to helping make Saturday’s concert such a resounding success.